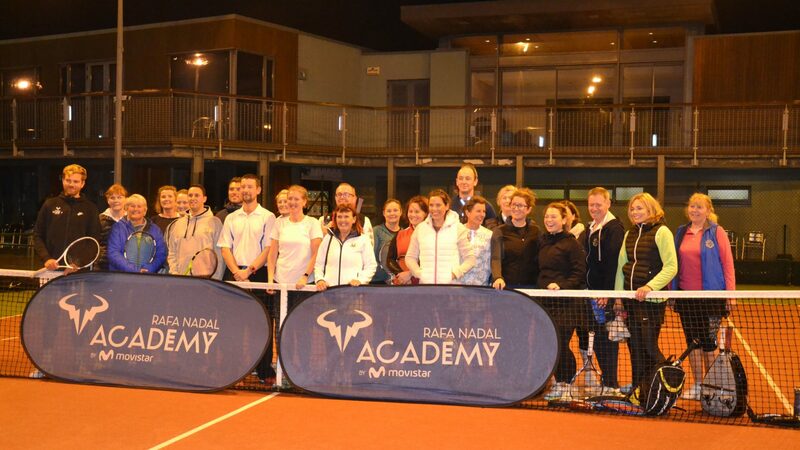 Yesterday, we had a visit from the Rafa Nadal Academy who came to the Club to give a few coaching sessions to members of all ages. We wish to thank the Academy for their visit, a massive thank you also to Ger, all the parents and players of all ages for their help and support of the event. Thanks must also go the members playing their regular games who were very patient when their courts were handed over a little later than normal. A few photos are now available on Facebook at this link.